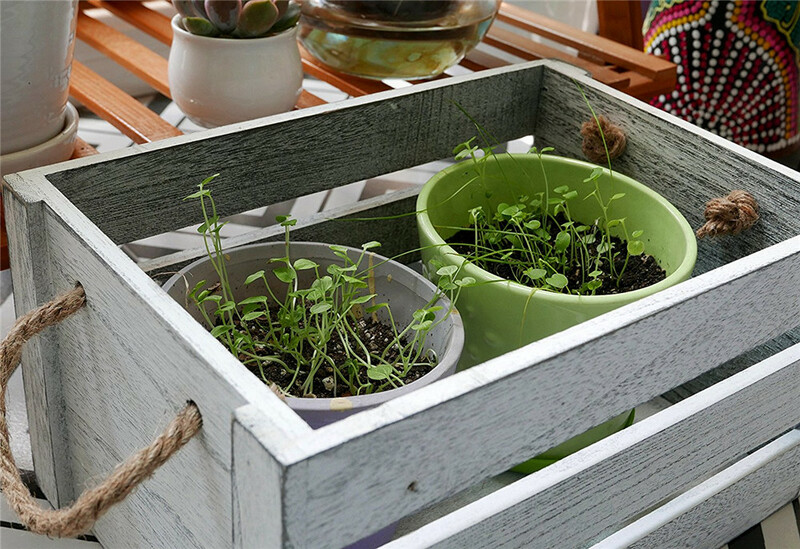 STORE ANYTHING IN STYLE – These decorative wooden crates provide fabulous storage for every room in the house. Perfect for the kitchen to hold oils and a canister of cooking utensils, in the pantry for canned goods, in the bathroom for towels and toiletries. 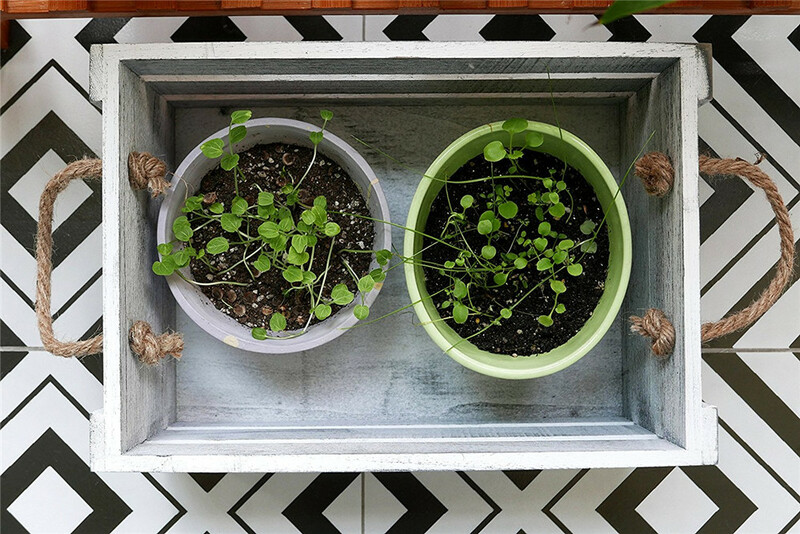 They can also be used in a laundry room, office or craft room. 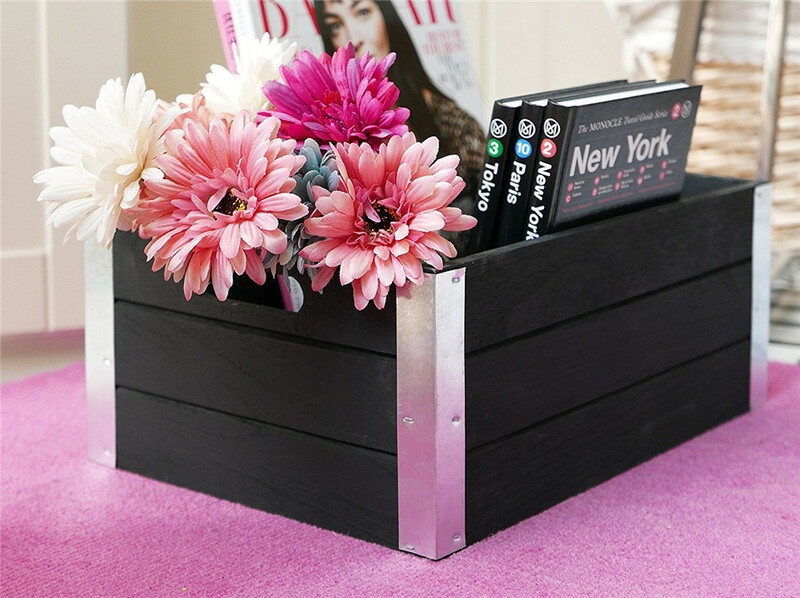 They have multiple purposes and will keep you beautifully organized. 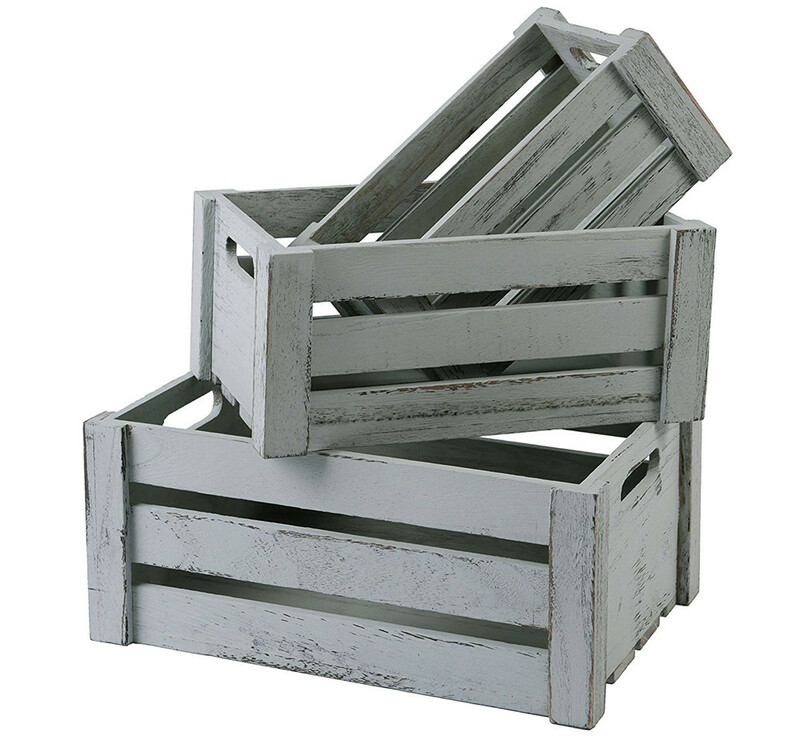 The rustic distressed look is right on trend, making these crates both practical and decorative. 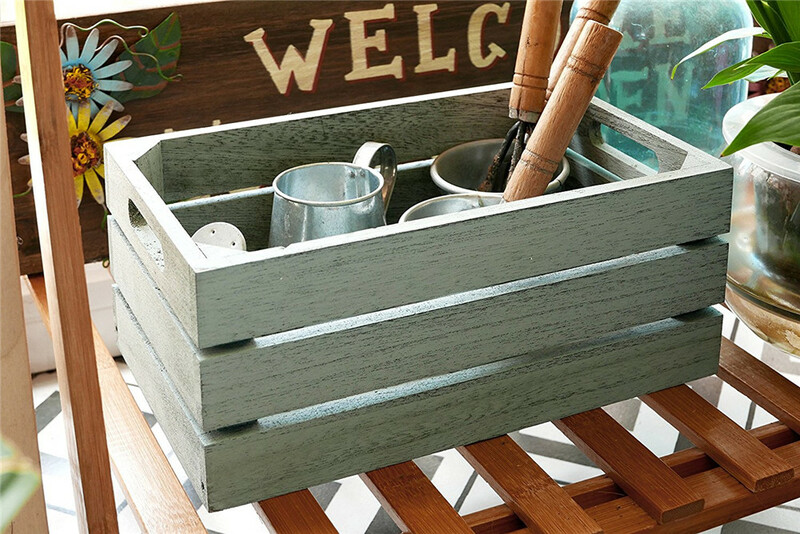 OPEN PALLETTE-STYLE CRATES ADD CHARACTER TO ANY ROOM – What better way to have everything you need at your fingertips, than to clear the clutter in a busy entryway with storage crates to hold shoes, hats, tennis balls for the dog, and the kids` toys. You can see through the slats and there`s an open top so you can quickly identify the crate`s contents. 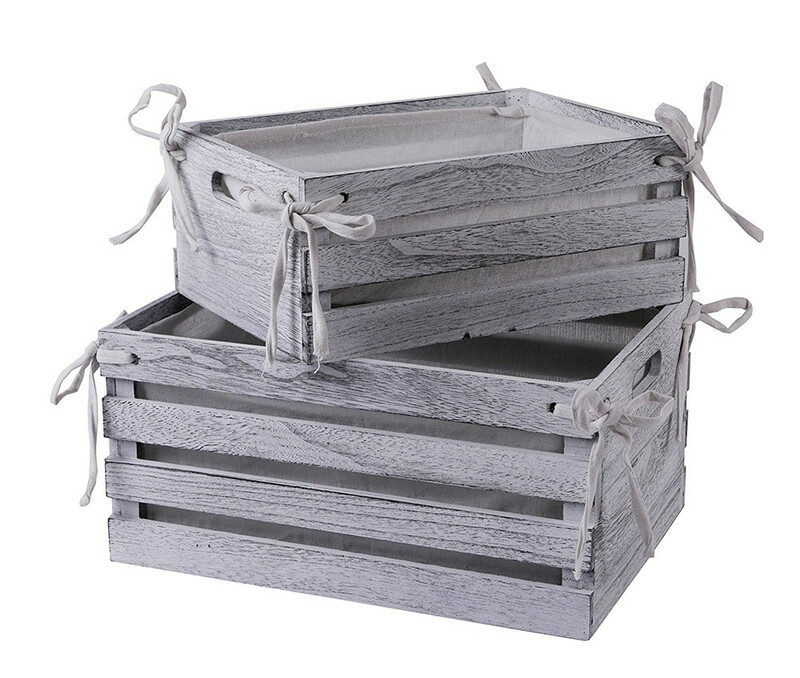 IDEAL FOR FLORAL ARRANGEMENTS, WEDDING DECOR, CRAFTS, ETC.- Vintage style distressed wood crates are perfect for floral arrangements, wedding décor or crafts. 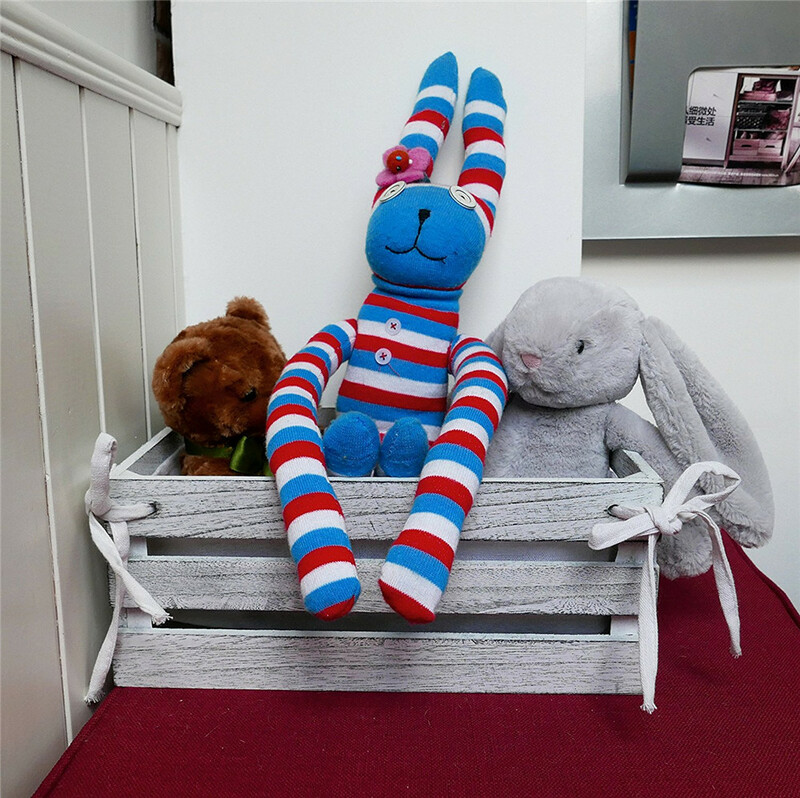 They make elegant displays and are great for showcasing arts and crafts at a fair. They`re also extremely popular for country chic weddings as rustic décor. Use the small one to hold wedding cards, turn them on their sides and create a gorgeous display. 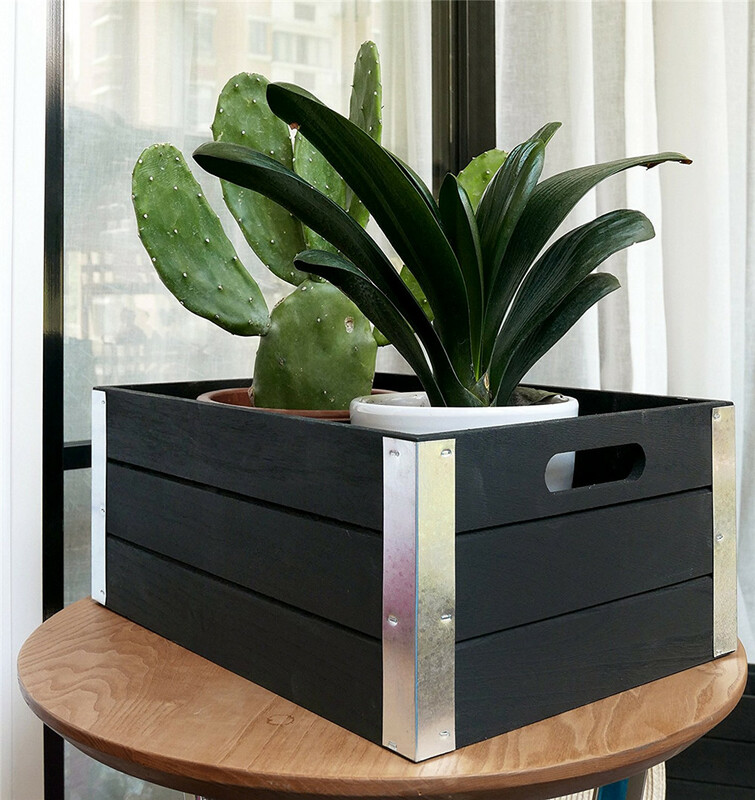 CHOOSE FROM THREE COLORS AND STYLES – These chic wooden crates are available in three sizes. Each set of 3 contains one of each size; Small: 10.22'' L x 6.29'' W x 5.50'' H, Medium: 12.18" L x 8.25" W x 6.29" H, Large: 14.15'' L x 10.22'' W x 7.07'' H. The White set of 2 has a pretty linen liner that ties to the crate`s slats. 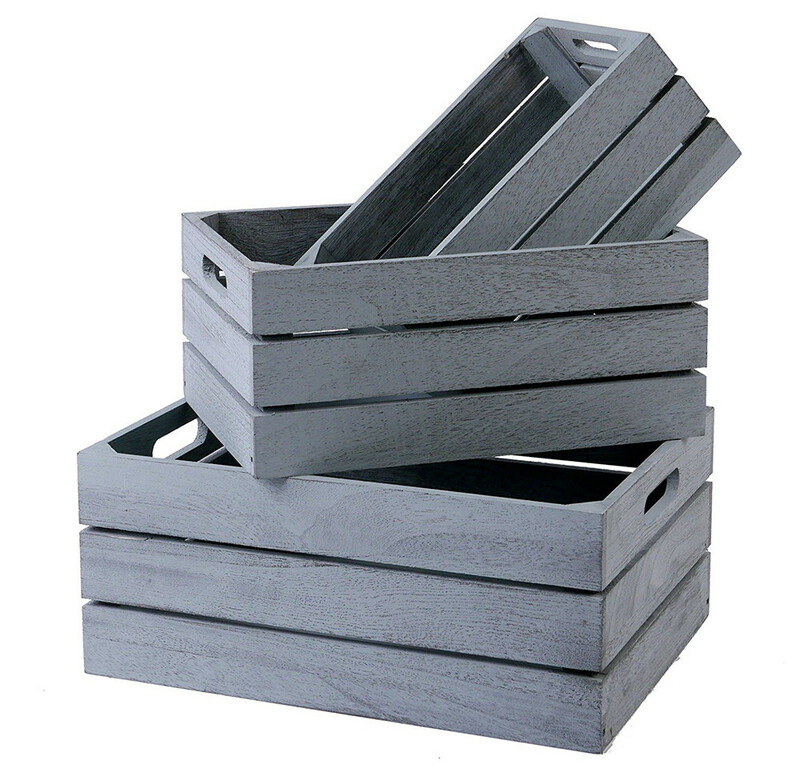 The small crate measures 12.58" L x 8.65" W x 5.11" H. Large measures 14.54" L x 10.61" W x 7.07" H.
Looking for ideal Wooden Case With Stylish Handle Manufacturer & supplier ? We have a wide selection at great prices to help you get creative. 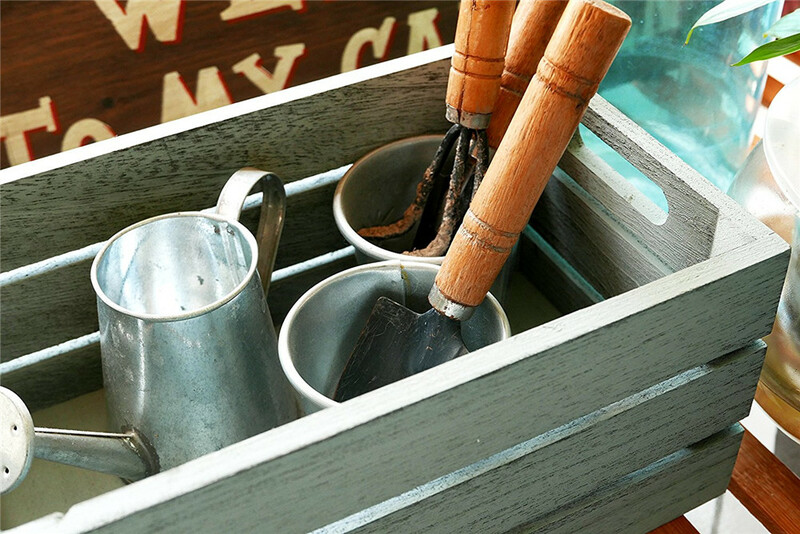 All the Wooden Box With Decoration And Practical are quality guaranteed. We are China Origin Factory of Artical Antique Wooden Storage. If you have any question, please feel free to contact us.